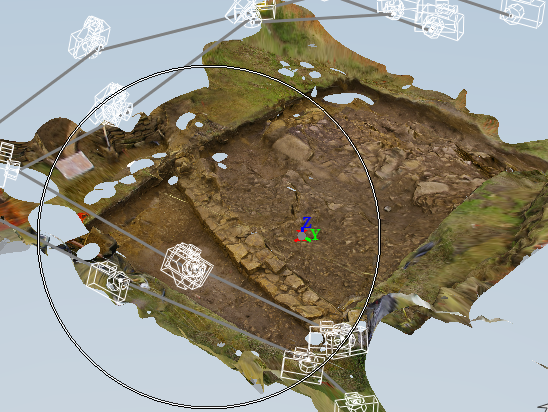 In the previous entries we have seen the use of Photogrammetry in archaeology for the recording of features and artefacts. With models of this kind the procedure is pretty simple: you take 20 or so photos from different angles and then run them through 123D Catch to get the end result. The angles themselves generally should be every 45 degrees in a circle around the object and the same from a different hight, but because of the small scale there is quite a bit of leave way on precision of these positions. 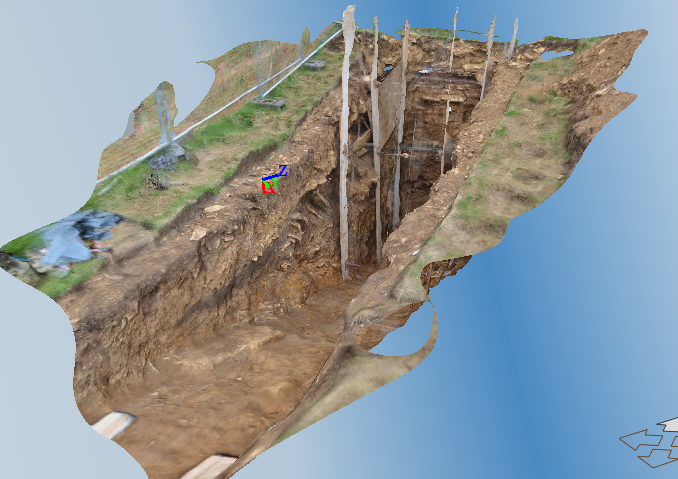 The same cannot be said when dealing with a larger feature or an entire site, which for Photogrammetry generally refers to anything larger than 2 metres or so. In these cases it not only a question of angles and of how precise these angles are, it is also a question of making sure that every single point of the surface is recorded on at least three photographs. In smaller stuff this happens easily, as each photograph contains nearly the entirety of the feature. But on larger features the only way to achieve this is to take the images from a distance, which reduces the quality. Many tests I have conducted have suggested that the best way to achieve a large scale model is to photograph the first spiral around the feature at a distance, in order to set the basis for the model, and then at a closer angle to get the detail. This will increase the number of photographs needed, so the trick is to find a balance between the number of photographs and the need to photograph all points. If the model still has missing data the other approach is manual stitching. Manual stitching can be easy and straightforward or complex and problematic, so sometimes it is just easier to take the images again. 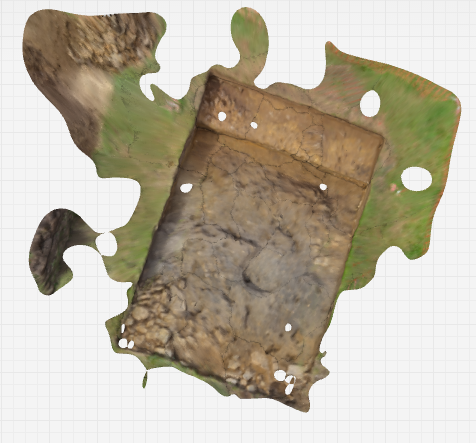 If this is not possible 123D Catch does allow to glue unstiched photos together, and even to look through the photos that are already stitched to see if any mistakes have been made (this has saved me a number of times). The main thing with large features is to try many different approaches until one works. Persistence as usual is key for great models.